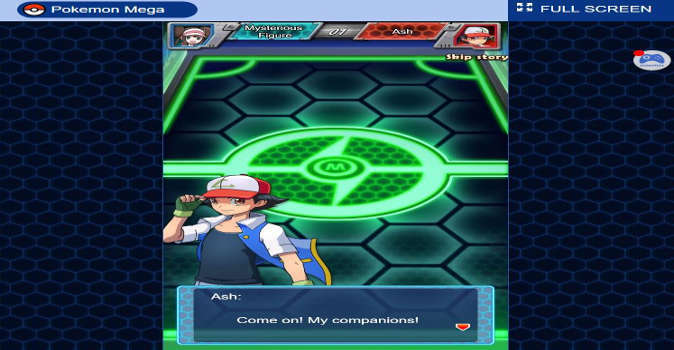 MMO – We all love Pokémon and we all have most likely played at least one of the series installments. If not, then this is a great opportunity for you to catch up on one of the most popular video game franchises and do you know the best thing about it? Pokemon Mega is free to play. 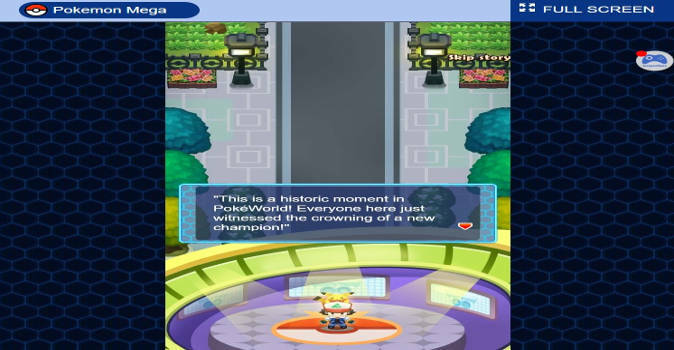 In Pokemon Mega you take the role of an aspiring Pokemon Trainer in a world that is not only filled to the brim with countless Pokemons but also rivals that want to contest your standing in order to claim the title of being number one. Train your Pokemon hard, explore vast landscape and catch the rarest of them in order to gain the upper hand on your rivals. Only the most cunning, enduring and daring Pokemon trainers will make it to the top of the leaderboards in Pokemon Mega. Pokémon Mega made us relive one of the hardest moments of our childhood. Once you start the game, you get to choose between the classic three beginner Pokémons: Charmander, Squirtle or Bulbasaur. In our review we chose Charmandar, because we always had a knack for the fiery types. Once that is done you’re basically good to go. 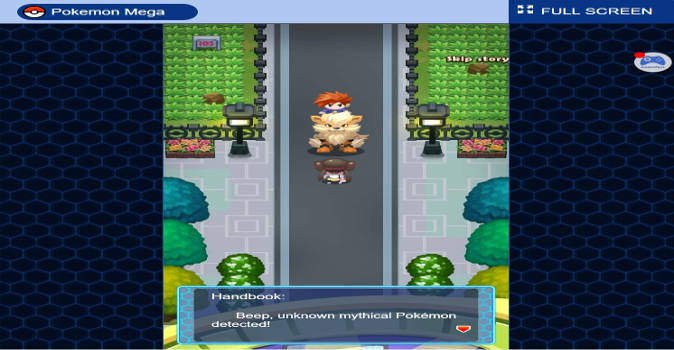 In Pokemon Mega you have this huge world to explore that spans over four massive regions in which you can find dozens of different Pokémons, treasures and other mysteries that you can and will eventually unravel. We almost felt lost in the beginning but thanks to the forgiving and handy tutorial we got a hold of everything relatively fast. From there on onwards it was smooth sailing. For the completionists among you, we have some good and bad news. Yes, there are a lot of different Pokemons to catch in Pokemon Mega but it is no simple task. As you may be aware off, some of these little buggers are relative easy to come by whereas others will require quite a bit of extra work before they end up being caught in your Poke-Ball. A Metapod or a caterpie are common to be found almost anywhere there are woods and high grass but finding some ancient Pokemon is an entirely different story. In this regard it can be considered a blessing that most of the combat is automated, since you will definitely fight a lot with your little companions. While it sure is fun to fill up dozens of Poke-balls with critters and other little gremlins, the real competition starts when you fight other players. The rewards in Pokemon Mega are substantial in this regard but as you would imagine, in most case it’s considerably harder to fight other players, especially when they have a lineup of battle-hardened Pokemon in their disposal. Here it all comes down to experience, synergies and the lineup of your selected Pokemon. In this regard it’s fair to say that Pokemon Mega is one of those games that’s easy to learn but hard to master. Free-to-play: Just sign up once and you are good to go. 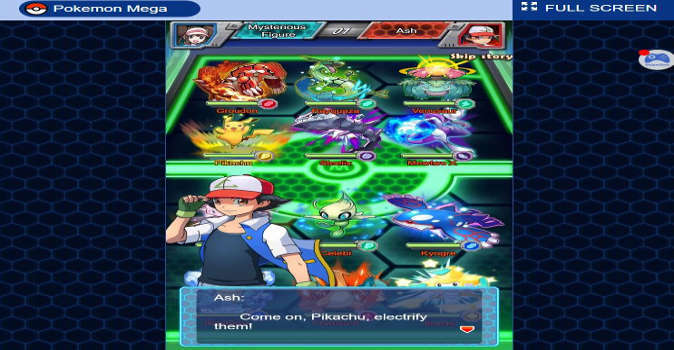 Pokemon Mega is absolutely free-to-play. Choose your favorite Pokémon: Pick your starter Pokemon and choose between Charmander, Squirtle or Bulbasaur. Catch ‘em all: Explore more than four continents and catch dozens of different Pokemon. Compete with other trainers: Put your skills to the test and compete with other trainers from all over the world in order to dominate the leaderboards. Pokemon Mega isn’t the first spin-off of the successful Pokemon-Franchise and certainly not the last that much is clear by now. Nontheless it is safe to say that this game is among the more decent titles, especially when considering that it is a free to play browser game. The game sticks very close to the original, not only in terms of represented Pokemons but also in its core gameplay mechanics and visual representation. 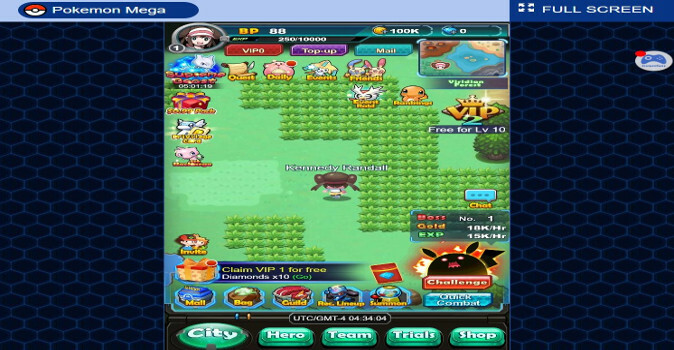 Pokemon Mega is a game that provides easy access, a brimming world, filled with dozens of places to explore and countless players that only wait to compete with you. So what are you waiting for? Choose your Pokemon and lets go.